How's every one's sugar glucose levels doing after a week (or more) of sneaking eating Halloween candy? Mine, too. To help you burn off some of those callow rhees, you can make like a bunny and hop over to Miss Julia's Stamping Ground where we all line up for What's on Your Workdesk? Wednesday. I've come inside to the Bighouse from the Playhouse to type this and just looking up at that messy desk has me weiftom di awe asid pfke. Oh, sorry. It's hard to get my fingers back on the right keys after stopping to scratch the hives that are welting up cousin I'm naturally a bit of a neat freakazoid. Yes, it's a burden, but it's easily lifted. I'll get back out there and clean it up before bed so I have a clean slate tomorrow. "Stop! Stop! Don't use those scissors! They are only for using on ribbon! I keep forgetting!" To which I replied, "You could tie a little bit of ribbon on them to remind you." I'd never thought to do that with my own scissors, mind you, although I pretended I had, of course. I liked the idea so much I came home and tied a bit of ribbon on my "ribbon only" scissors and in case you haven't thought of it, I'm passing the idea on to you. Feel free to pass it along. And here we go again: it hasn't excaped my notice that the the word obvious can be drastically changed by the addition of the single letter ell. All that mess on my desk wasn't caused by that one little card you see there. I spent a great deal of time last night on a card involving dies and layering which caused most of that mess. After wards, it ended up in the trash. I said a lot of blue words and had a toddy. When I got home from work tonight some of the mess was still there, so I had another go without dies and layering after I saw the wonderful autumn colors and stunning DT cards over at this week's ColourQ challenge. Sometimes when I tie my bow, the tails fly up on me. Does that happen to you? I left them alone like that to play for a bit, but then I had to settle them down and make them fly right since this card is going to be used for a somber occasion. Every notice how the word somber ... although in this case, sober and somber seem redundant, rather than oppose it. Since I was taking another photo, I changed the back drop to spice up your viewing pleasure. Isn't it amazing how the red behind brings out the yellow in front? The wreath was made with Rubber Stamp Tapestry stamps which I only seem to use for Thanksgiving and Christmas cards. They are perfect for making wreaths. Before you bunny-hop away, please join me in welcoming a new friend, Amy V. from Insomniac Stamper! (Another great blog name!) Amy is brand, brand, brand new to blogging, so please make her feel especially at home in Bloggerville and here in the Playhouse! Enjoy your day and your delightful WOYWW tour! As always, thank you to Julia for hosting and thank you to you for stopping by to visit. Special thanks to you if you take the time to join as a follower or leave a comment! Darnell your card is just gorgeous. 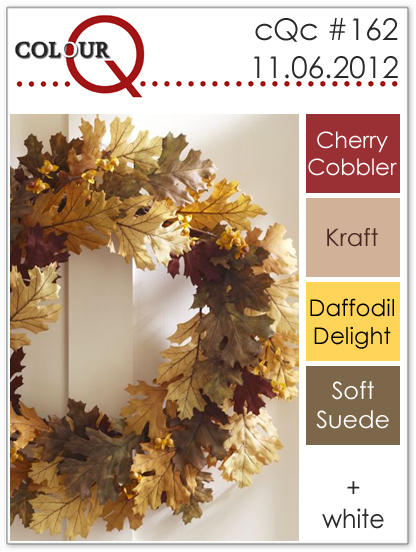 That wreath is stunning in all of this weeks colours. Thank you so much for joining us this week at the colourQ! Beautiful card and great idea with the bow. I love reading your blog! The random thoughts that process across the page are very entertaining to read. Have you ever come across Ros C's blog on WOYWW? She's also a word freak - we have tossed the idea around of setting up a fun word blog sometime! That looks one lovely and cozy place to craft! I too have scissors that are just for ribbon. They are my dressmaking scissors from years ago and everyone was always banned from using them for anything!!! Loving your wreath work .. .. very neat!! Darnell, your wreath is spectacular! Love it! love the card and the red background works a treat it really throws the lovely colours out and your stamping is ace ,you also changed direction of the bow or it;s upside down !!! !,..I am nosey ! teehee... have a fab week being creative...x #67..
p.s, great idea re scissors I read it somewhere else and it works ! Amazed to see your desk in turmoil - makes me think there's hope for me yet! Gorgeous card and it certainly does make a difference to the card with the brighter background. Beautiful, Darnell! I love wreaths and I love leaves, so this is a winner for me! Love your card Darnell, lovely colours. Must admit to liking a tidy desk when I start a new project too. Great card there Darnell and now get and tidy your room! Disgraceful! I don't know how you can show it!!! Not showing mine today as it was too cold for me to go up there and first photograph and then upload photo and then type! 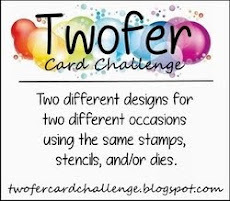 I will do a one blog hop post tomorrow! Love that card! I think I may have said that! 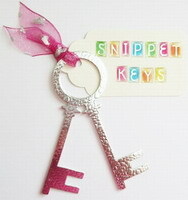 Ps my ribbon scissors are purple and do have ribbon on them which is......yep! Purple! Beautiful card, Darnell, love your wreath stamp, it is beautifully colored. Thanks for sharing your card with us at the colourQ. Gorgeous card, love the wreath that you made out of leaves! I need to try the trick for scissors. I have about a dozen pairs and I seem to have adhesive residue on ALL of them! Funny how the background can completly change the card. Fab card. Another great post. Unbelievable change in the card with the orange backdrop! The yellow practically jumps right off the card. Interesting 'conundrum' that Ardyth has mentioned! Wholly guacamole! I'm shocked, nay stunned by that MESS! I like the ribbon only scissors, I have a really good pair for fussy cutting and the like and three everyday pairs for, well, everyday I suppose! Beautiful card, I too only seem to make wreaths with my peg stamps too, should try to do more with them. Great card...love those leaves...amazing how the colour of the leaves pops with the different background! Did you have sciatica before? 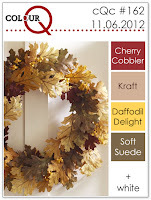 Darnell ... love everything about your autumn wreath ... the colors, the layout, the ribbon, the rounded corners. Perfect CAS card. It is really amazing how much the color in-behind your card changes the look of it. Ummm, H O W did you know I have three fun size Kit Kats in my hot little hands, freshly swiped from the eldest son? Don't worry, he is old enough that he drove himself to buy clearance candy after Halloween, so it's not quite the same as snitching it from a five-year-old . . . especially since I walked in his room and said, "GIVE ME CANDY!" Your card turned out wonderful, Darnell, and that actually is a great idea for the scissors. I write on mine with Sharpie, but no one pays any attention but me, so then I hide them, and can't find them!! I managed to stay away from the candy..oh, I guess that would be because there was none in the house. Darn daughter is too old (20) so there is no more trick or treating around here. Love your card!!! It's beautiful..great use of this week's colors. I'm glad you joined us this week at the ColourQ. I just love your posts! They make me smile every time. Your wreath card is beautiful, and I'm glad to know I'm not the only one who wants to swear a blue streak when I look at my messy craft desk! 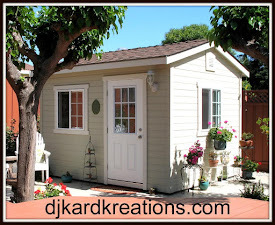 Thanks for the shout-out for my blog...so sweet of you! Looking forward to your next smile-inducing post!! Amazing that the color of the backdrop on your card made such a difference! It's just beautiful. I had to laugh at the scissor story -- now I'm going to have to do that too. Only I'll have to buy a good pair of scissors first as all mine have gotten a bit dull. But I did see on pinterest to cut some fine grain sandpaper and that will sharpen them right up!! Wow, Darnell, your wreath is STUNNING!! Oh, my goodness. You've created a fabulous one-layer CAS card. This is a winner for sure!!! I have Rubber Stamp Tapestry stamps - but my creations never look like yours. Absolutely lovely - it truly glows with those rich colors! Love the card ~ the wreath is just beautiful ~ perfect for these colors! Love this one …. so pretty I loved it as it was sitting on your desk. Wow , what a difference the backdrop makes … love the orange on. Great idea with the ribbon, I just kinda keep my up out of reach of others, but love the ribbon idea. Hope you have a nice weekend. Oh I did the same thing yesterday spent all day on a card and threw it away…. Beautiful card - the detail is gorgeous! It looks so pretty sitting front and center on your busy workdesk! Wishing you a happy day! 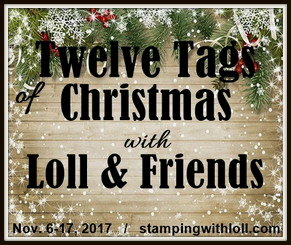 I love these peg stamps and don't use them often enough cause they do make be-utiful wreaths and I love wreaths. Love the yellow in it and how it pops out in the second photo. What a beautiful card!